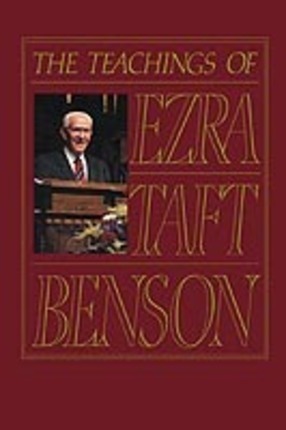 During his more than four decades as an Apostle, President Ezra Taft Benson has published several books and delivered thousands of speeches. This book brings together a rich selection of his comments and counsel in a classified format that puts each topic at the reader's fingertips. 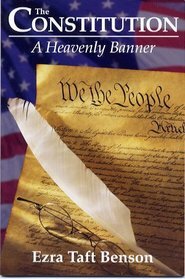 A wide range of subjects is represented in this five-part book. Gospel principles and doctrines are reinforced under topics such as God, the plan of salvation, latter-day scriptures, and gospel principles. The Church's history, mission, and organization are reviewed in terms that see the kingdom rolling forth as predicted. Advice on applying the gospel to our lives encourages the reader in numerous principles and practices that we all need to be observing. The expressions made on family and home likewise set out truths central to the gospel message. And the section on country focuses sharply on those principles of freedom that were given 'for the rights and protection of all flesh.' Thoroughly indexed for ease of access, the book is a storehouse of knowledge and inspiration. Like his predecessors in office, President Benson has long been a 'preacher of righteousness.' His dedication and sense of responsibility have called forth innate powers that, fired by the Spirit, have imparted a special eloquence to his voice of warning and encouragement, and this comes through in the book. 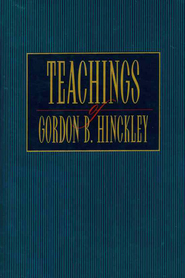 The distilled wisdom and instruction thus produces not only many eminently quotable passes but also, in keeping with the prophetic calling, offers the reader strong motivation to righteous endeavor.